digital advertising (search, local, social, video, display), digital marketing, location based services, search products, online presence, mobile apps, media planning, SEM and SEO. 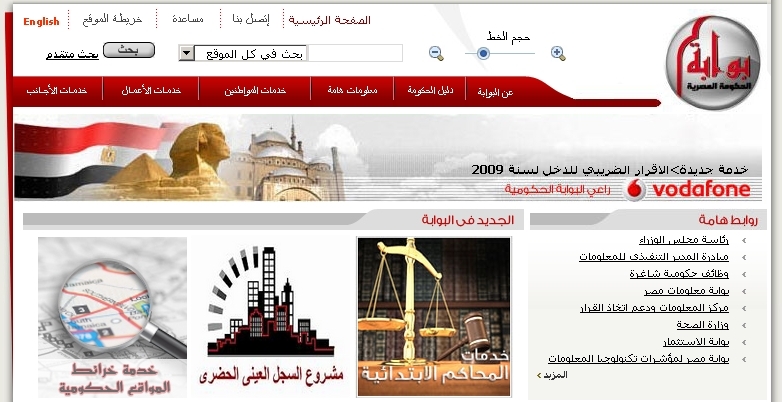 In a huge step that will shape the Egyptian information community, the e-Government has chosen Egypt Yellow Pages to be the official partner who will provide many service to the government portal including providing information of different government entities contact information and map locations.This is a result of the cooperation agreement Yellow Pages signed with the Ministry of State for Administrative Development under the patronage of Prof. Dr. Ahmed Darwish, Minister of Administrative Development. With more than 33 ministries in Egypt, it was almost impossible to get a phone number of a governmental office or organization, even if you go to the website of that ministries most probably you would find the information you are looking for and if you did it will be likely outdated. Now, not only this contact information will be available and up to date, but also maps will be displayed showing their locations and you can filter by city and area to select the one that is nearest to you. Egypt Yellow Pages have been known very well from both consumers and businesses in Egypt as the local search provider that provides the information about any business in Egypt with a database that is growing each day to reach now more than 140,000 listings and increasing. Now having Yellow Pages create and update the full content for the Egyptian government is an important milestone in the history of the company, and from my opinion and without exaggeration it is an important milestone in the history of Egypt as it strengthen the link between the citizens and the government, something the government is trying to achieve but with little success so far. The cooperation agreement also involved linking the new mapping service to applications and forms currently available in the portal. The service is currently available for over 72 services provided by the following authorities: Real Estate and Documentation Authority, the Egyptian Electricity Authority, Directorates of Education and Directorates of Health Affairs, with more government authorities to be added. You can access the government maps section by clicking here. Why should every product manager learn to code? In 2015, (Infographic) Are Google and Facebook Teaming up? Enter your email & get notified when a new post is published.